Experience Bond on the big screen this May when the Melbourne Symphony Orchestra in collaboration with Film Concerts Live! present Casino Royale in Concert. For the first time in Melbourne, audiences will be able to experience Bond accompanied by the power of the Melbourne Symphony Orchestra performing composer David Arnold's thrilling musical score and in sync to the picture. The concert will be led by conductor Nicholas Buc. Buc's passion for film music was first ignited at the age of 12 when he saw his first Bond film The Living Daylights. Casino Royale (2006) marks Daniel Craig's first appearance as the legendary MI6 operative, earning him high marks with fans and critics alike. 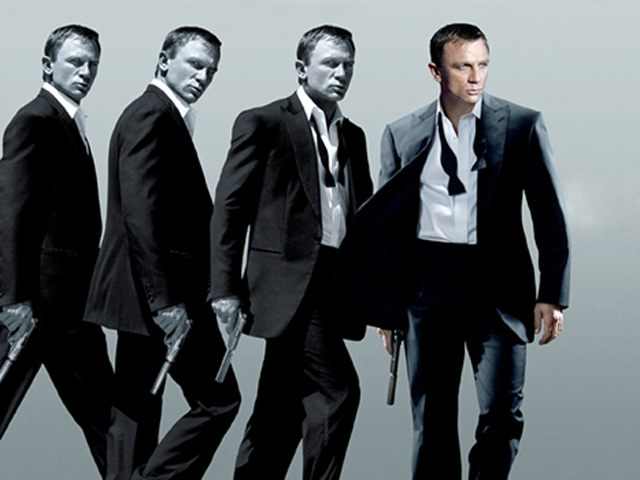 The wildly successful film went on to become the highest grossing Bond film to that point. Directed by Martin Campbell, EON Productions and Metro Goldwyn Mayer's (MGM) Casino Royale brings us Bond at the start of his career, having just earned 00 status and his licence to kill, and pits him against the ruthless terrorist financier known as Le Chiffre (Mads Mikkelsen). From the jungles of Madagascar to the white sand beaches of the Bahamas, Bond's pursuit of Le Chiffre leads to a showdown in a high-stakes poker game at the luxurious Casino Royale in Montenegro, and ultimately to a jaw-dropping finale on the Grand Canal in Venice. Along the way, Bond meets the British Treasury agent Vesper Lynd (Eva Green), assigned to keep a watchful eye on 007 as he risks it all to bring down Le Chiffre. Giancarlo Giannini stars as René Mathis, Bond's mysterious MI6 contact in Montenegro, and Judi Dench returns as M.